Oliver Hartmann first appeared on the international music scene during the late 90s as the front man of the Heavy Rock outfit AT VANCE. 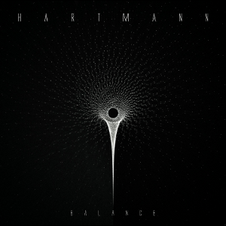 After leaving AT VANCE he started to focus more on the songwriting for his new band HARTMANN. Frontiers Records signed them in 2004 and the first album "Out In The Cold" was released in 2005. The HARTMANN debut was the positive surprise of the year for many people, it received rave reviews and was rated "Album Of The Month" in many well known Rock magazines all over the world. Now the band have the new album "BALANCE" and will be released on June　1st, 2012 on the Avenue Of Allies label. The recordings for this album were completed in April 2012. The 4th effort of the band once again offers melodic Rock music with a modern approach on the highest international level backed by a top notch production. The songs, mostly written by Oliver Hartmann himself, cover a wide variety of moods and showcase the whole range of the musical genre, always focusing on catchy melodies and expressive choruses. “Balance”was once again mixed by Sascha Paeth (Avantasia, Edguy, Epica, Kamelot) at Gate Studios, Wolfsburg, Germany.